The Mathematics department continues to be judged as outstanding, based on the department review in 2016/17. Ms Teague is an Assistant Headteacher and also the subject leader for Maths. There are 17 other teachers within the department. Mr Rees and Miss Drewett are both second in charge. Mr Rees have overall responsibility for KS5 and Miss Drewett for Years 7/8 and 9. 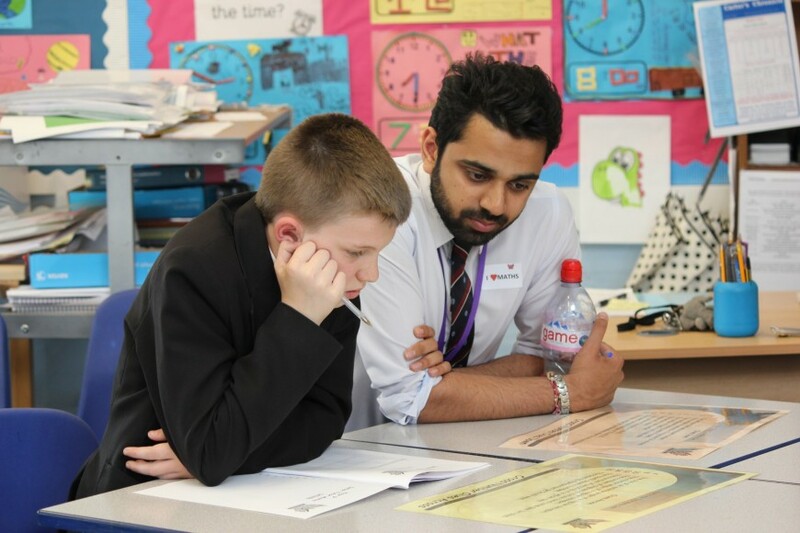 Mr Patel is the Year 7 leader, Mr Macgregor the Year 8 leader, Mr Amponsah the leader for Year 9 and MAGT provision across the department and Ms Vajaria the leader for Year 10 and GCSE Statistics. Miss Webster is the KS4 course leader and Mrs Venus works closely within the KS5 team looking at numerous development strategies and resource creation. Ms Chevalley is the Curriculum Support Officer for Maths and Mrs Grime, Mrs Stanley, Mrs Karkare, Mrs Kenny, Mrs Burt and Mrs Grady are Learning Support Assistants who work within Maths. The department is well resourced with 18 teaching rooms, 4 of which are dual purpose and allow staff to use computers/laptops with the students if required. Creating a positive and vibrant learning environment within the department is something that all members of the maths team strive for. The department are superbly led by Ms Teague, who shares her drive, vision and ambition with her team. The department are proud to be 'outstanding', however they are still determined to further drive up standards through the sharing of good practice. This is a very hard working and committed team who are supportive of each other, with a 'can do, will do' attitude. Support periods continue to be used very effectively to offer targeted support and interventions to students who need this; this is critical for exam success. The range of Maths Surgeries on offer is an example of this. Throughout all key stages, there is clear monitoring and tracking of student progress. MIPs (Maths Intervention Plans) are embedded into the intervention procedures and these are excellent in giving students support on specific topics. Teaching and learning is outstanding as confirmed by lesson observations and learning walks. 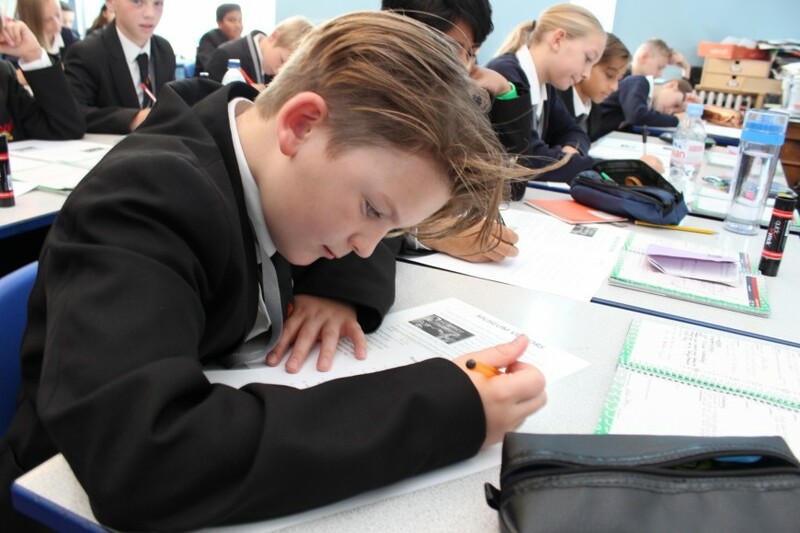 Strengths of these lesson observations include concept development and mastery (key developments) and self discovery, the challenge and support in place, the high quality planning and delivery of lessons and the excellent student attitudes and behaviour. Exam results in 2017 were excellent. 86% of students gained a grade 4+ which exceeded the aspirational targets that were set. 34% of students achieved a grade 7+. In Core Maths, 85% of the students obtained an A - E and at Further Maths, 100% of the students obtained an A*-E with 83% of students obtaining an A*-B. In Core Maths, 100% of the students obtained an A*- E with 85% of the students obtaining an A*- C and 27% of the students obtaining A*/A. At A2 Further Maths, 100% of the students obtained an A*-E with 83% of students obtaining an A*-B. The attitude and behaviour of students within maths is outstanding. Relationships between staff and students is very positive. Students feel supported in their mathematics education and are appreciative of the extra support that their teachers offer. Uptake at all Maths Surgeries and intervention sessions is consistently high across all year groups. In September 2017, 15 of our Year 13 cohort went to university to complete a maths or maths related degree. UKMT – a national maths competition for the more able students. Students take part in both individual challenges and also team competitions. The Puzzle Company - a activity run by the excellent Puzzle Company. It involves the presentation of fun and educational 'hands-on' problem solving activities. 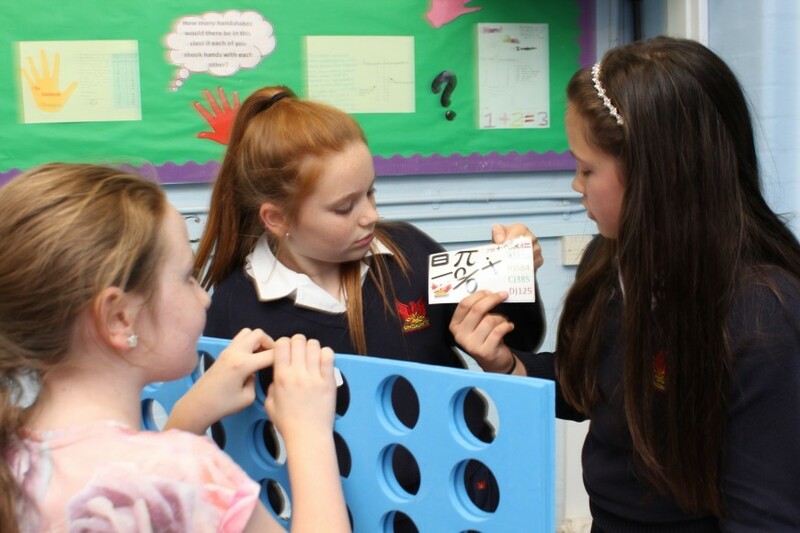 Number Day - a fun, nationwide maths fundraising event for Year 7 and 8 that helps raise money to support the NSPCC. 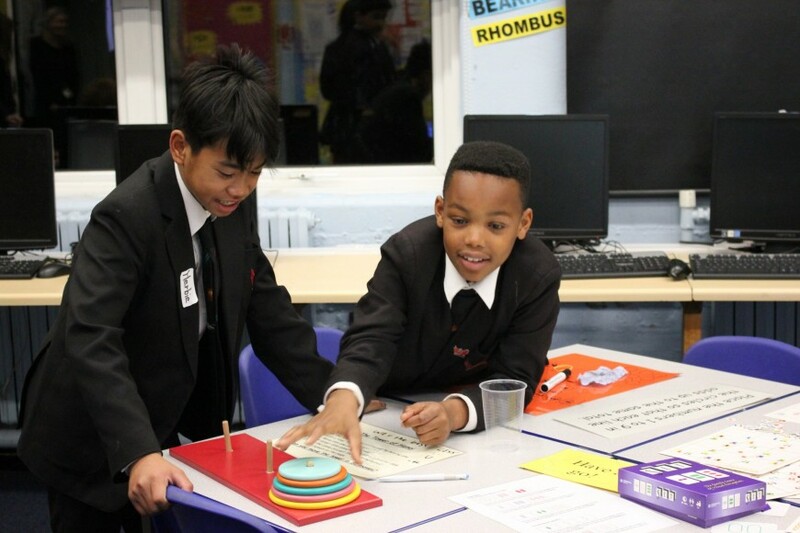 Maths Week - an annual event where all students have the opportunity to be involved in maths trails, maths in other subject areas, in-class competitions and numerous other engaging activities throughout the week. This is as well as a Maths Inspiration trip, Maths Club, Maths Surgeries for all Year groups and outside speakers for KS5 and many other activities. Embedding the work done so far to ensure the new GCSE scheme of work provides all necessary resources, activities and opportunities to ensure student understanding is at its highest. Work on preparing the Year 10 students for GCSE Statistics looking back at the successes and development areas from last year. Ensure the changes within the KS5 curriculum are embedded into the scheme of work and that all new content is researched and resourced appropriately.